This year is all about the soil! Soils support our planet’s biodiversity and they host a quarter of the total life. Did you know? 2015 has been designated as The International Year of Soils by the Food and Agriculture Organization of the United Nations. We know that soil might sound boring to some of you…it’s just dirt, right? It might seem that way, but in reality, healthy soils are the foundation for life as we know it. Sadly, soil is a non-renewable resource. The more we damage our soils, the harder it will be to sustain our growing populations and lifestyle. Our food system depends on healthy, bioactive soil. Healthy soils aren’t just important for agricultural production; healthy soils are just as important in our urban environment. Urban environments depend on healthy green space, made up of vigorous trees, lawns, native plants and our home foundation plantings. Cities become “heat islands” without adequate healthy plant life; they suffer from rising temperatures, electricity blackouts, flooding and an overall drying of the environment. Doesn’t sound fun, does it! We need our trees, wild plants, lawns and gardens to thrive in order to have healthy thriving cities to live in. Healthy plants rely on healthy soils. So, what are some of the most important things you should know about soil? Here are top soil facts, complements of The International Year of Soil. Healthy soils are the basis for healthy food production. Soils are the foundation for vegetation which is cultivated or managed for feed, fiber, fuel and medicinal products. Soils support our planet’s biodiversity and they host a quarter of the total life. Soils help to combat and adapt to climate change by playing a key role in the carbon cycle. Soils store and filter water, improving our resilience to floods and droughts. 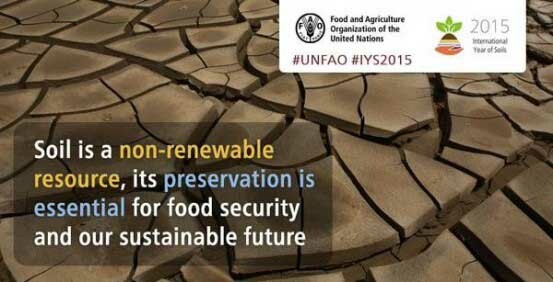 Soil is a non-renewable resource; its preservation is essential for food security and our sustainable future. Questions about your soil? Join us on Facebook and Twitter with the tag #soilsalive.